Live here! 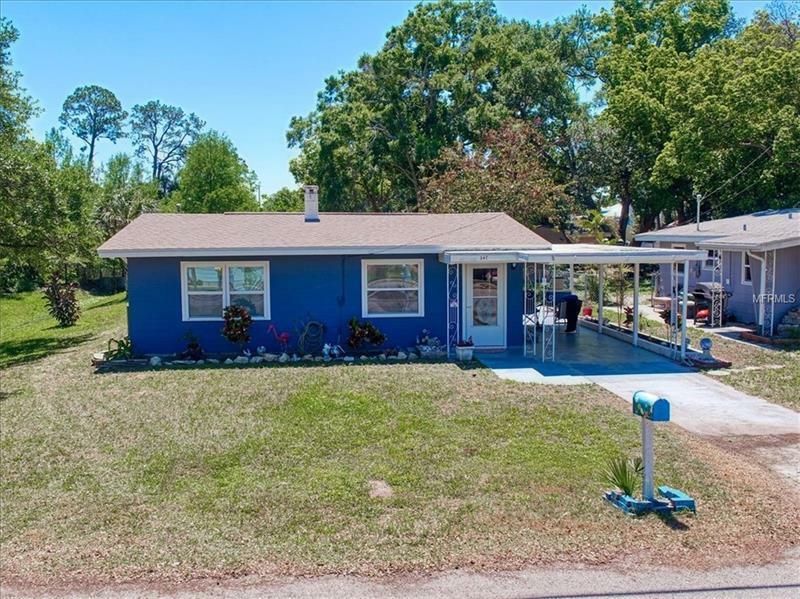 In the heart of Downtown Dunedin just 2 blocks from Main St, this cozy home on a spacious lot is the spot! Family owned and loved for 60 years, this property shows pride in ownership as it was passed down through generations. The open living / dining kitchen area is is light and bright with bedrooms and bathroom off to the side. Vinyl windows and screens turn the heated/cooled enclosed porch into an airy living space all year long! The large lush yard affords the opportunity to bask in the warm sun or relax in the cool shade of mature trees. Recent updates include exterior paint, windows and A/C. Love the beach? Just under 3 miles to Honeymoon Beach and dog beach. Catch a Toronto Blue Jay's game at the stadium one afternoon! Take the Pinellas bike trail all the way across the county or just to brunch on Sunday! Often the center for weekly events such as parades, farmers markets and festivals, downtown Dunedin is home to a central green space with a bandstand, picnic tables and benches. Stroll down Main St with its unique boutiques, restautants and lounges. Live music, good eats and other treats are just steps away! This life can easily be yours - make your appointment to see it today!